Samsung plans to manufacture a giant 49-inch monitor with a double Full HD panel which they have deemed as DFHD. It will feature a VA panel with 5,000:1 contrast ratio, 1800R curvature, 3840×1080 resolution, 32:9 aspect ratio, 144Hz refresh rate, and Adaptive Sync technology. Samsung will begin with the production sometime in September this year, which means it will be available in 2018, but there’s no information regarding the price yet. 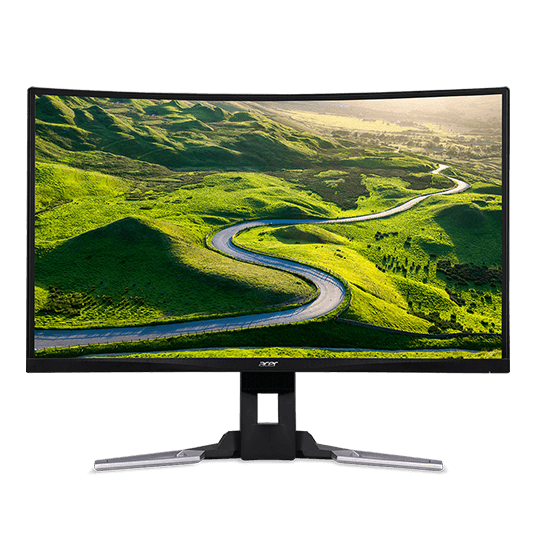 In addition to this monitor, Samsung will also produce a 44-inch 8-bit VA panel monitor with a 32:10 aspect ratio which will also be curved, support Adaptive Sync, and available in 60Hz and 120Hz versions. Lastly, Samsung also reported a tad less interesting monitor than these two which will have a 40-inch VA panel and 1080p resolution. This monitor will be quite convenient for replacing dual monitor setups since you’d basically have two 27-inch full HD monitors next to each other but without the gap in the middle. As far as gaming and everyday multimedia experience are concerned, I’m personally a bit skeptical. First of all, most of the video games don’t even support 21:9 aspect ratio yet, and even if they did, you’d still have black borders on the sides of the screen. I image the best way to play games on this grand circle screen would be to run them in the windowed mode and have them spread throughout one half of the screen while having work related sheets on the other side; although no work would ever get done that way. But who knows what will happen by the time this monitor is released, so we’ll just have to wait and see. 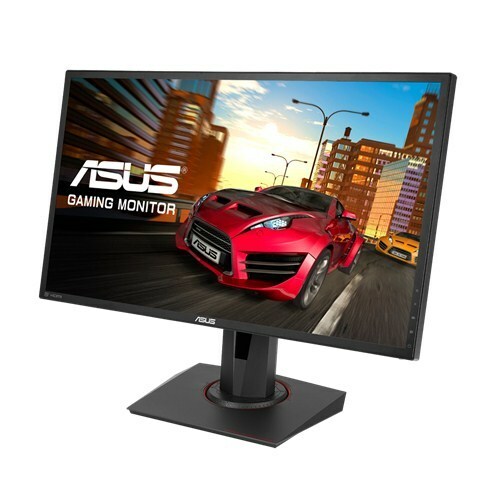 The fact that it features 144Hz refresh rate indicates that’s indeed intended for gaming. Come to think of it, since the monitor has quite an angular curvature, some video games made specifically for this type of panel would look rather amazing. 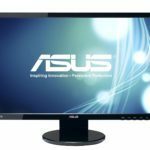 However, due to its drawbacks, when it comes to the regular video games, most gamers will certainly opt for either ultra-wide or higher resolution monitors. The adaptive sync includes either AMD FreeSync or Nvidia G-Sync technologies, or perhaps both version will be made, that allow for dynamic frame rate between the monitor and the graphics card’s GPU which in turn eliminates screen tearing, stuttering, and reduces input lag in video games. In comparison to other panels, VA panel monitors have a far superior contrast, in this case, 5,000:1 which results in drastically deeper black tones and an overall astonishing image quality. Moreover, the viewing angles of these panels amount to 178 degrees which means you’ll be able to enjoy a perfect picture quality no matter the angle you’re looking at the screen as opposed to TN panels where colors would contrast when viewed from below or from left or right. Nowadays, even the response time speed is nearly identical to the IPS panels and usually amounts to around 4ms which is fast enough to eliminate ghosting of the fast moving objects in most scenarios except in professional gaming. However, when it comes to the color accuracy for professional work, IPS panel monitors are still dominant. There isn’t any information available yet regarding the price, design, ergonomics, and connectors. Overall, it’s looking to be one extraordinary and exotic monitor that will appeal to some but repulse the others. Until we get more information or see the Grand Circle format in action, we can hope it won’t be too expensive but rather a viable replacement for dual monitor setups. The bottom line is that the 5,000:1 contrast ratio will make for a remarkable image quality while the adaptive-sync and 144Hz refresh rate ensure smooth gameplay experience, although I’m quite curious about how video games will look on it. I’d really like x1200 resolution over 1080 but otherwise this is pretty much everything I’ve been waiting for, for about 5 years now!